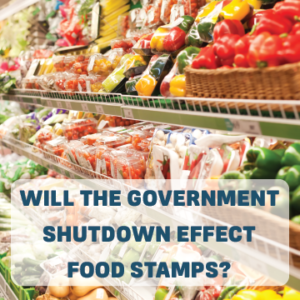 Will the Government Shutdown Affect Food Stamps? February food stamps are coming a few weeks early, which means a payout of benefits that will have many states and grocery stores rushing to support millions of low-income Americans. Food stamps provide a huge boost for local economies. In 2009, at the peak of the last recession, $50 billion were spent in local stores, generating some $85 billion in local economic activity at a time where the total economy was struggling. Not only do food stamp programs help with food insecurity but they also are associated with improved current and long-term health from pregnant mothers, young children, to low-income seniors. The partial shutdown is causing food stamp benefits to be paid out by Jan. 20. The workaround has created some confusion about the program and here is what recipients of the food stamp benefit need to know. Due to the partial federal government shutdown recipients will get the February Food Stamp benefit one month early in January. Recipients will not get a Food Stamp benefit in February and will have to carefully plan and spend the benefit to ensure it lasts for both January and February. As for future months, there is no information available on whether food stamp benefits will be available. Recipients are encouraged to carefully spend their food stamp benefits so that their food supply will last. More help is available at local food banks and resources like the Family Support Division. Recipients can contact 1-855-FSD-INFO (855-373-4636) or visit their local FSD Resource Center for help.